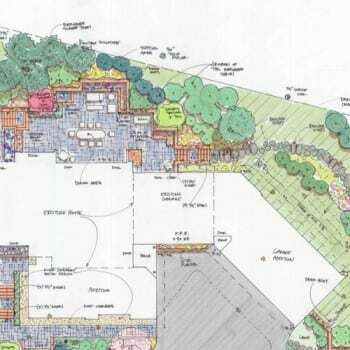 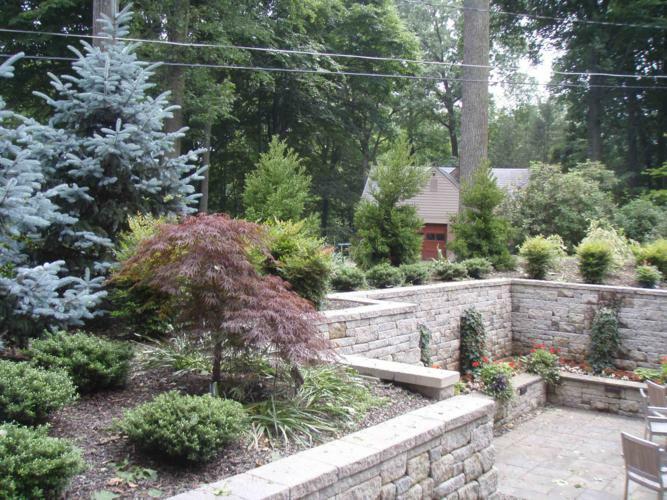 Landscape architecture services included site planning for a major addition to an existing contemporary ranch style home on a heavily wooded property near Loch Raven Reservoir. 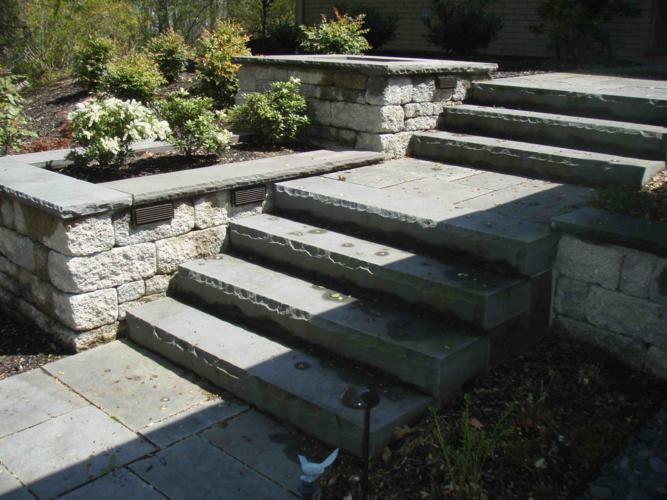 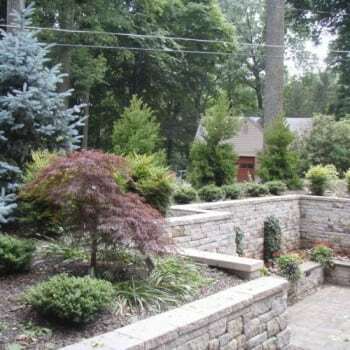 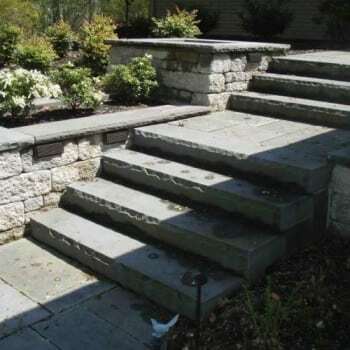 Services also included the design of all exterior hardscape, landscape features and plantings. 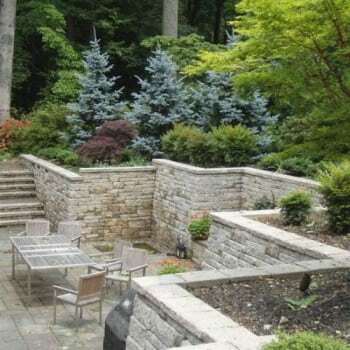 The property features a new driveway and parking court; bluestone entrance courtyard; bluestone front walkway with retaining wall terraces and steps; backyard bluestone dining patio and retaining walls; landscape lighting to illuminate steps, pathways, patio, driveway and specimen trees; a water retention garden with stone path system; evergreen privacy buffer plantings and naturalized woodland gardens to provide a peaceful, retreat like setting for the home.